Easy Asian Fish Tacos with Ginger Slaw: Sesame encrusted Cod is wrapped in charred tortillas and topped with a fresh Ginger Slaw for a fresh and easy dinner full of flavor. Thank you to Gorton’s Seafood for partnering with me to create a recipe for you. As always, all my opinions are my own. If you know you me well, you are probably a bit shocked to see a recipe for fish here. I do not hide the fact that I do not like fish. I truly want to like fish–fish has SO many nutritional benefits. I try and try and just can’t seem to bring myself to like it. So why you ask am I sharing a recipe for fish? So when I heard about Gorton’s Flavor Fusions I was intrigued. Gorton’s Fusion Flavors Cod Fillets come in Asian Soy Ginger, Orange Sesame, Classic Fajita, and Kickin Hot Garlic Lime. Even this girl was tempted by those knock-out flavors! And I really loved hearing that the cod is sustainable and fresh-caught. Not to mention the flavoring packs are made with wholesome, real ingredients., meaning that using Gorton’s Fish is a short-cut you can take in the kitchen without sacrificing quality or feeling guilty about! 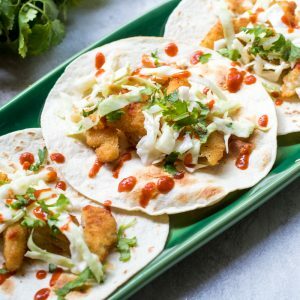 I decided to combine my love of Asian Food with my love of tacos to create a meal showcasing this fish that would not only win my family over but may even win me over! I mean if I could win my carnivore husband over with Lentil Tacos...surely even I would like a Fish taco, right?! I normally like making my own seasonings and not to rely on packet spice mixes, but as you know, fish is not my area of expertise. It is however Gorton’s area of expertise. The sound of Gortons’s Asian Soy Ginger and Orange Sesame Seasoning sounded great (and made with REAL foods), so it seemed like a perfect way for me to try my hand at cooking fish at home. I seasoned and baked the fillets with the Orange Sesame Flavoring and made a fresh cabbage slaw with a bit of the Soy Ginger flavoring. If Orange Sesame isn’t your thing–use half the packet on fish and half on slaw, or vise versa. Could it be any easier???!!! So now I know you want to know what I thought of the Fish Tacos. The honest to goodness truth–I ate one taco and didn’t cringe or gag. AND for me that is BEYOND success! And my husband and kids LOVED them. In fact, I made them a second time for my extended family (because they are huge fish taco eaters and I wanted their honest opinion of them) and they all agreed these tacos knocked it out of the park. So whether you are a fish lover or a bit unsure of how you feel about fish (like me! 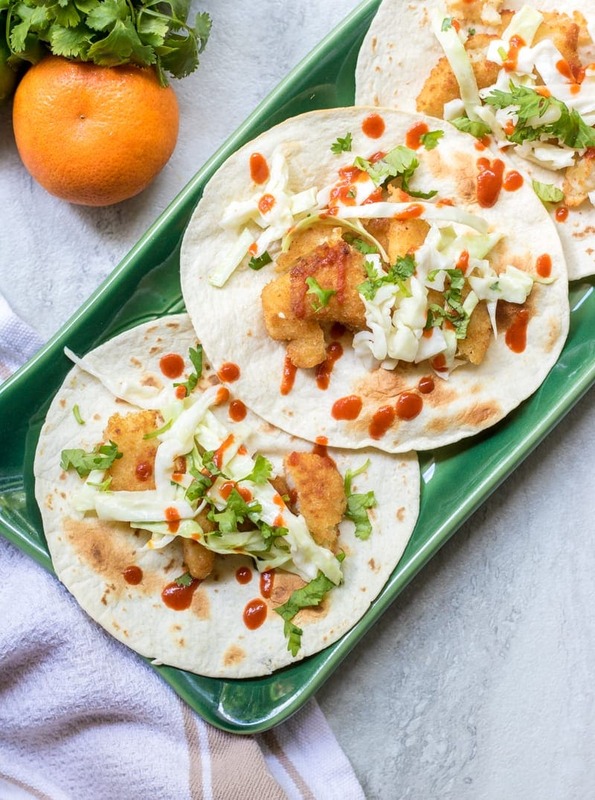 ), these Asian Fish Tacos are for you! Be sure to check out all my Easy Healthy 30 Minute Family Meals! An Asian spin on fish tacos topped with a fresh slaw that is made Ginger and cilantro. Prepare slaw by combining vinegar, orange zest and orange juice, fresh ginger and half the seasoning packet of Asian Soy Ginger flavoring. Add the cabbage and toss well. Refrigerate until ready to serve. Bake fish 15 minutes on one side. Remove from oven, flip fish over and sprinkle with the Orange Sesame packet. Return to oven and bake 10 minutes longer. Once fish has finished cooking, allow to rest for 5 minutes. Slice the fillets into small strips. 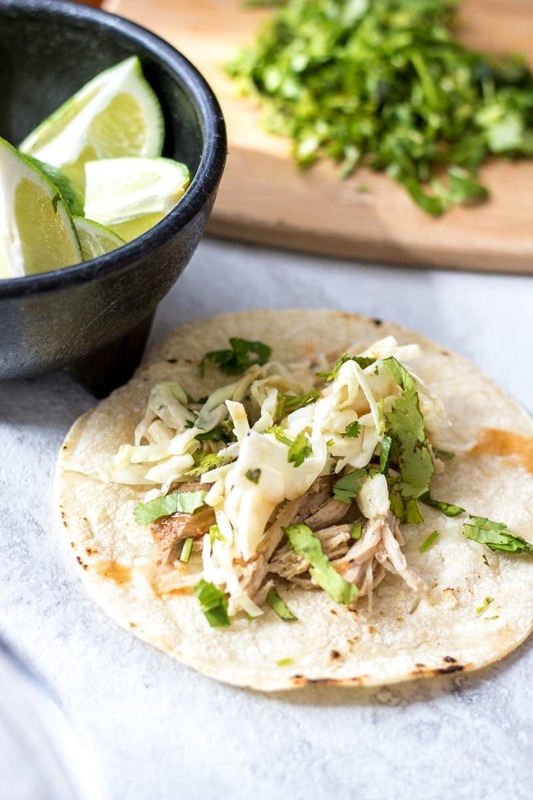 Place on top of warmed tortillas, top with slaw, chopped cilantro and Sriracha if desired. Fish tacos are one of my all time favorite go-to meals. I can’t resist! Loving the Asian flair you’re doing here — I usually do a Cali-taco! 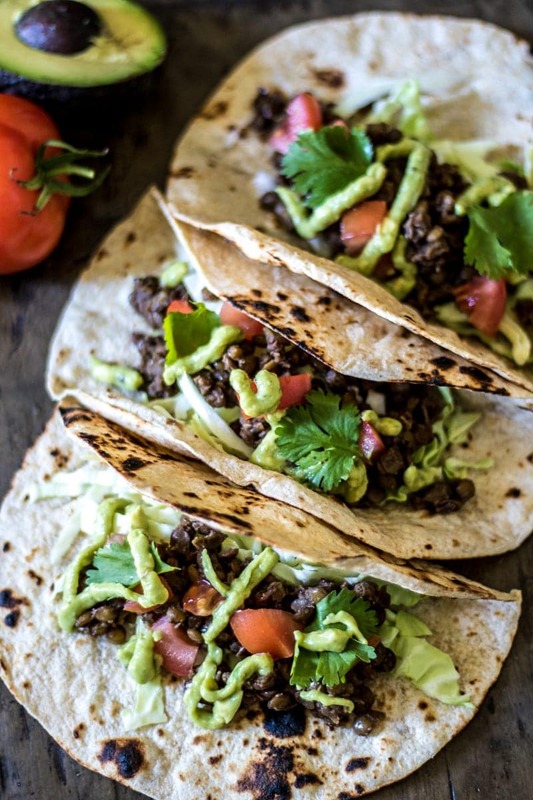 Lisa, a Cali-Taco sounds fabulous as well, but I bet you will love these Asian tacos! I am totally the same – hesitant about fish! I’ve always wanted to like it because I know it’s so food for you! But my family loves it and in recent years I have discovered that there are some I really enjoy! These look delicious. I would absolutely be willing to give this a go! Fish tacos are so bomb and this recipe makes it super simple! Thanks for sharing!! Your fish tacos are soo tempting, I love them hot with the sriracha too! I hope you give them a try Patty! I’m making chicken tacos for dinner tonight, but your Asian fish tacos sound even better!!! Oh but Chicken Tacos are so good as well Liz! These look absolutely fantastic.I love how there’s no chilli or anything too hot on these too. I’m a wimp when it comes to spicy food. 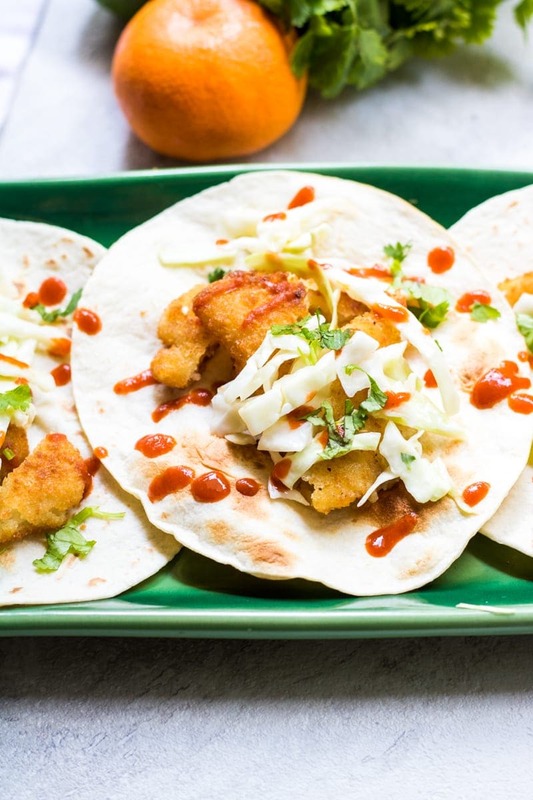 Fish tacos are my favorite and ginger is one of my favorite flavors, so I think this is a must-try! Rebecca–it sounds like these are the tacos for you!